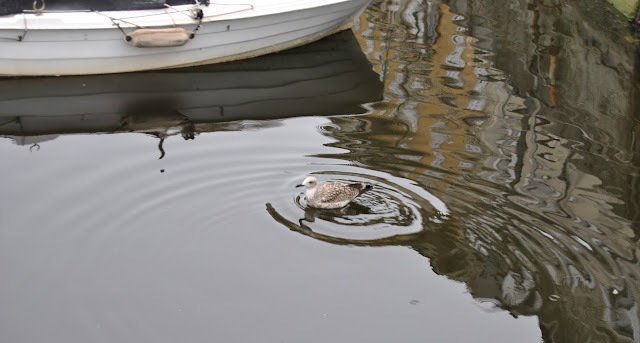 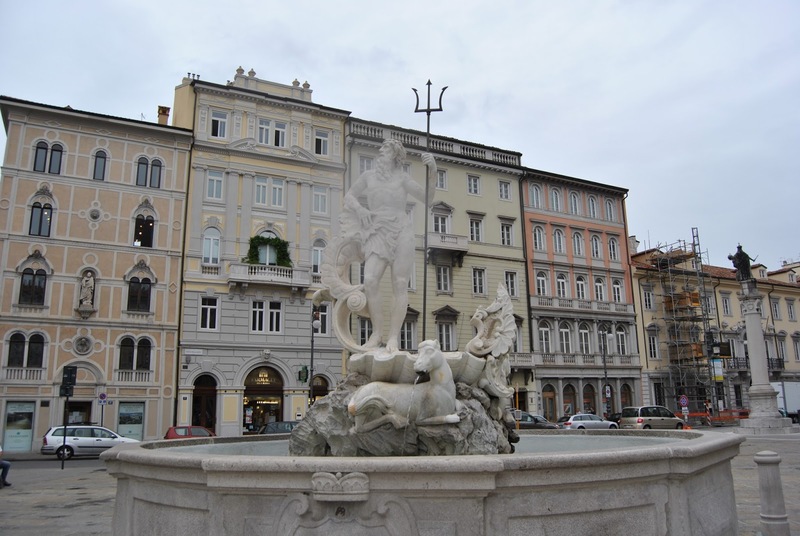 This is my first post from vacation in bella Italia :) I have been in Trieste, very cute and charming city on the sea in northern Italy. 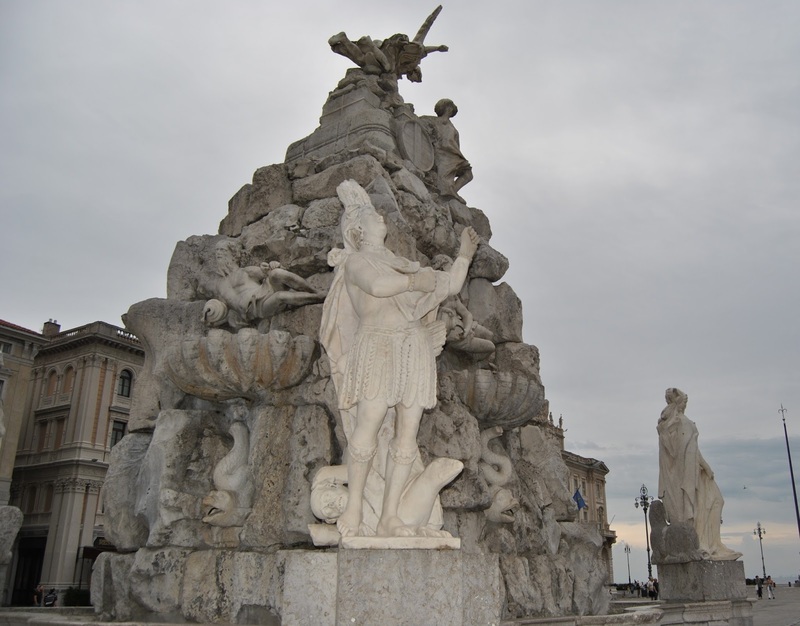 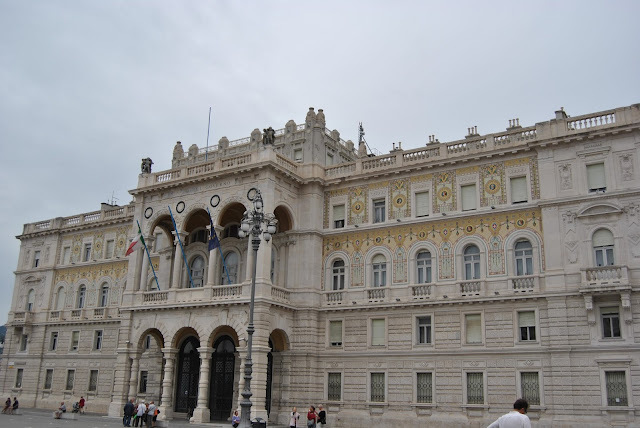 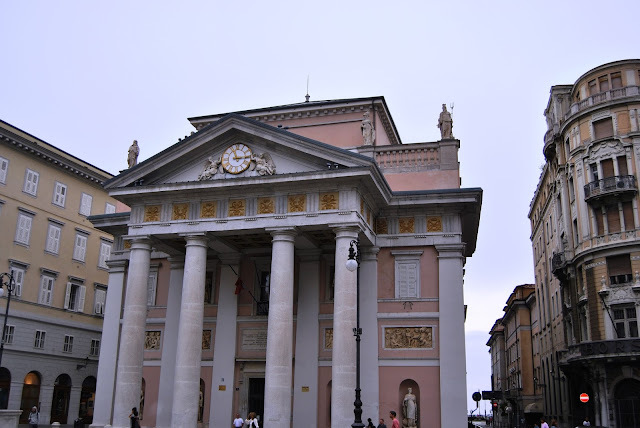 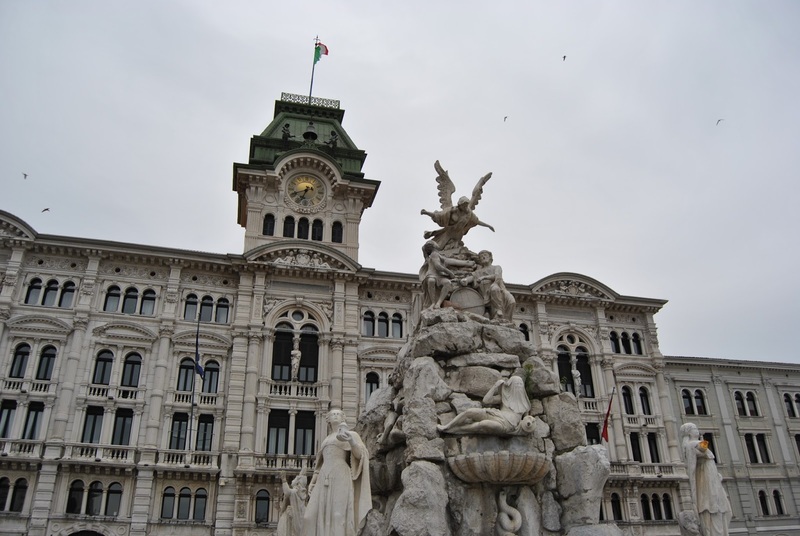 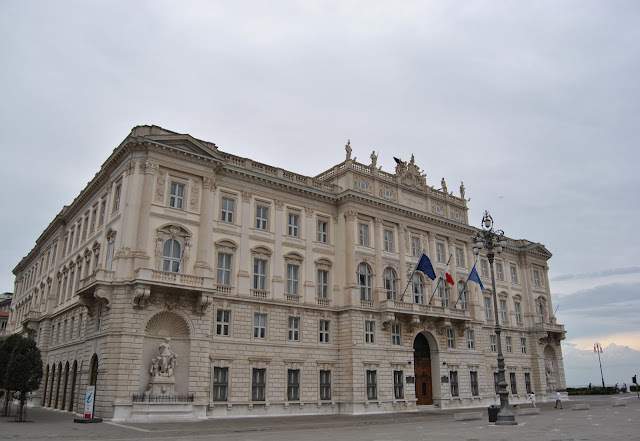 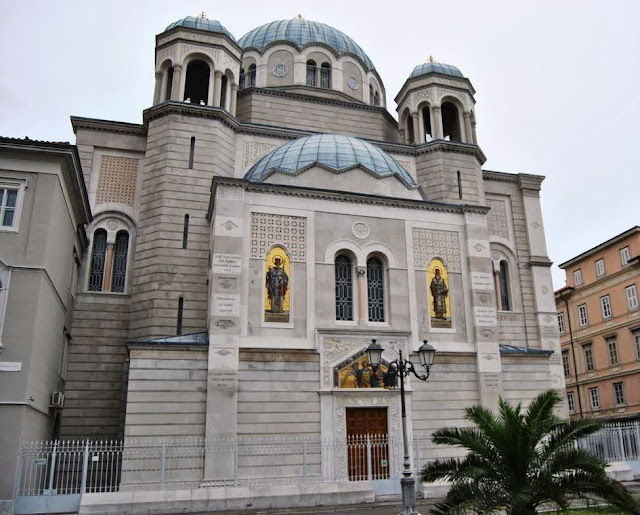 Trieste has amazing architecture and positive atmosphere with very kind people. 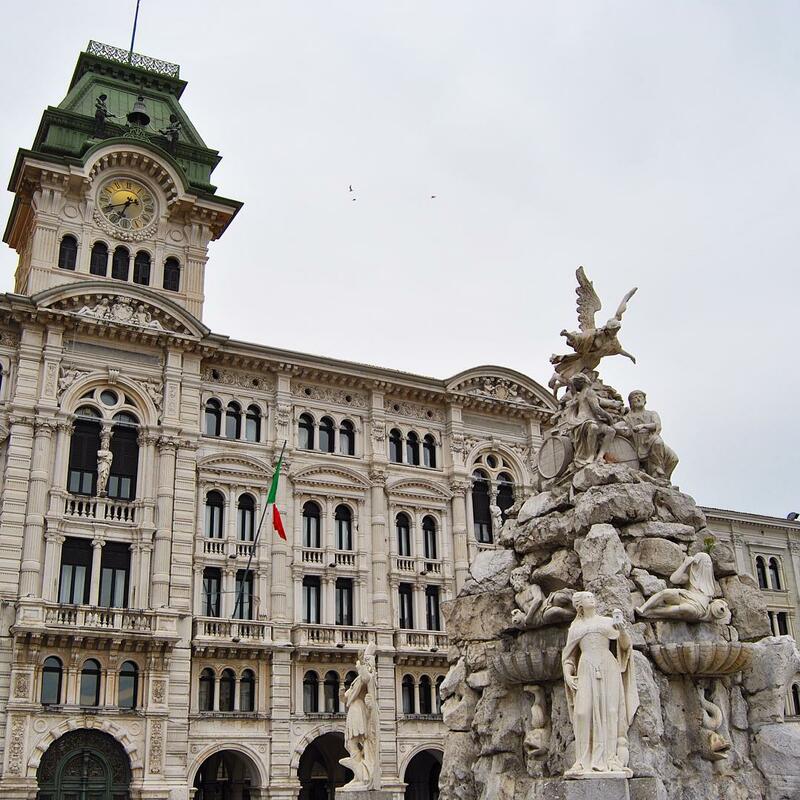 I was fascinated by the beauty of the central square: Piazza Unità d Italia and with spectacular Canal Grande (all you can see in the pics). 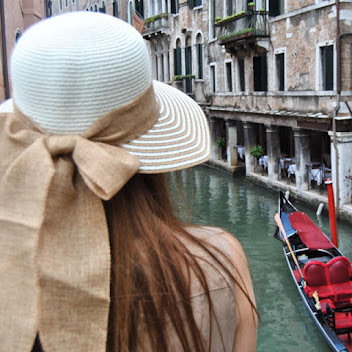 Also, there are a lot of cathedrals, museums, fountains, shops, elegant cafes and restaurants. 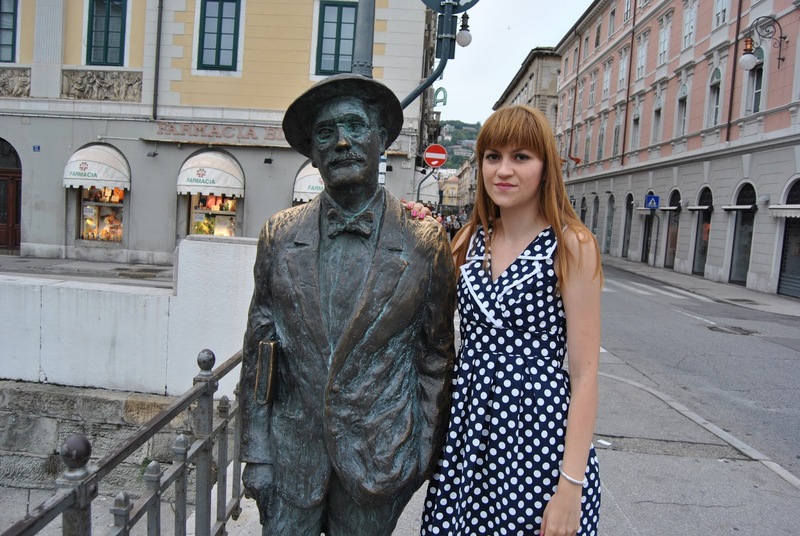 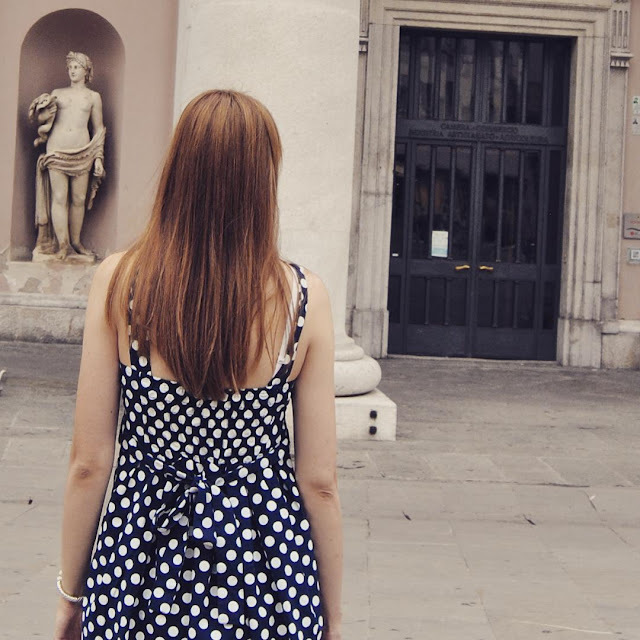 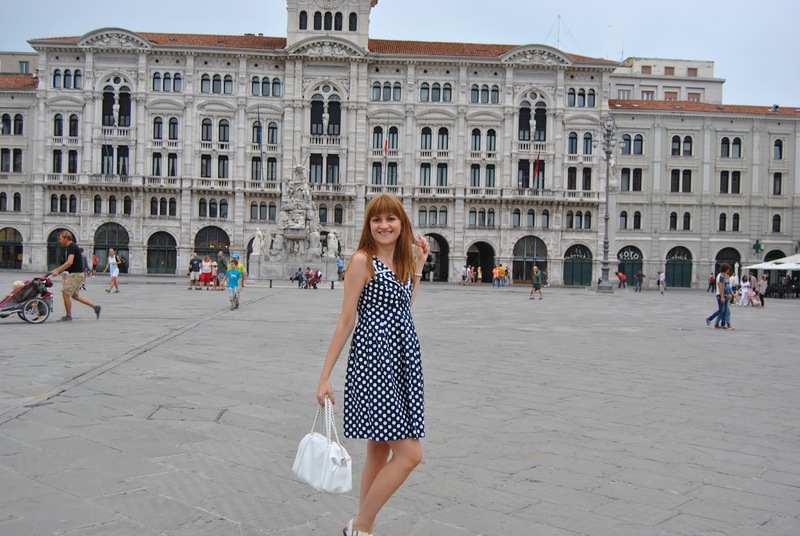 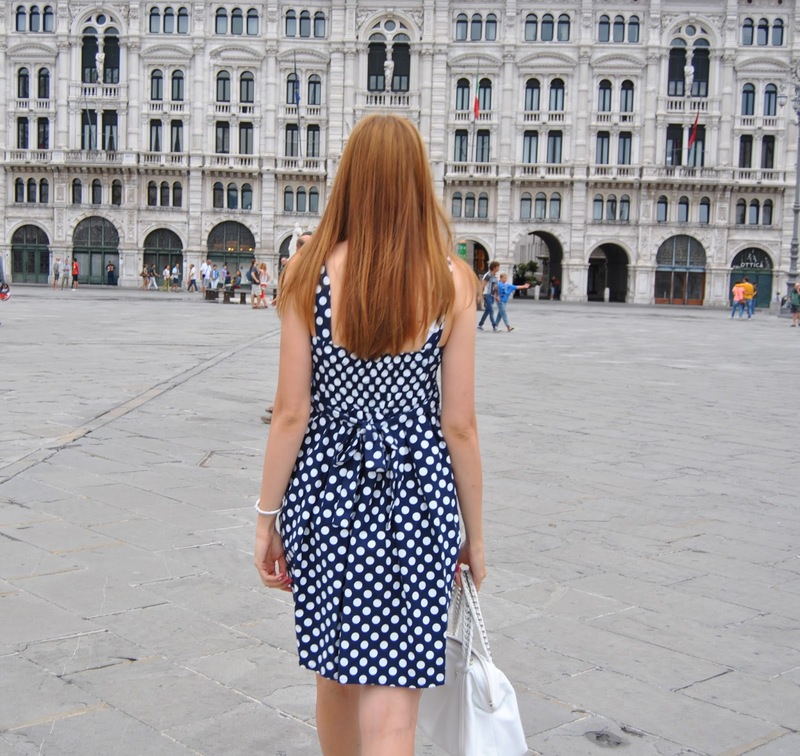 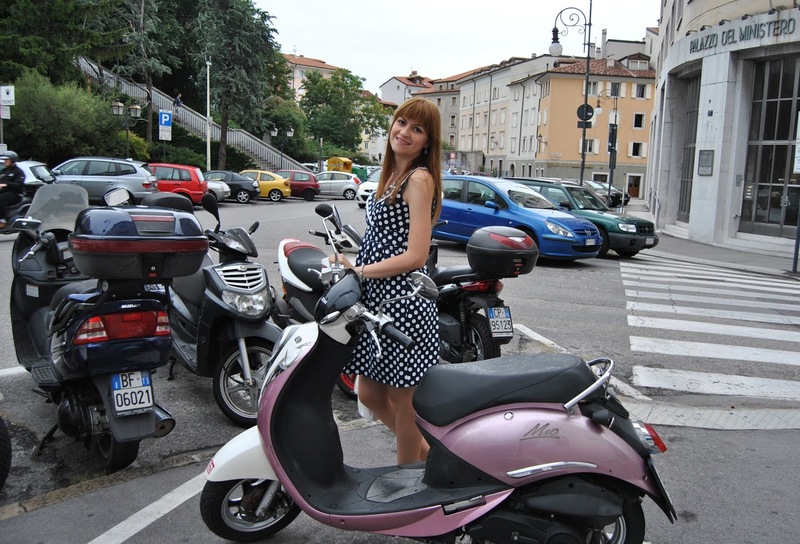 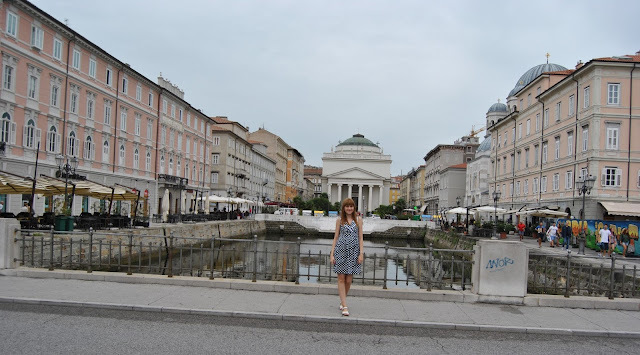 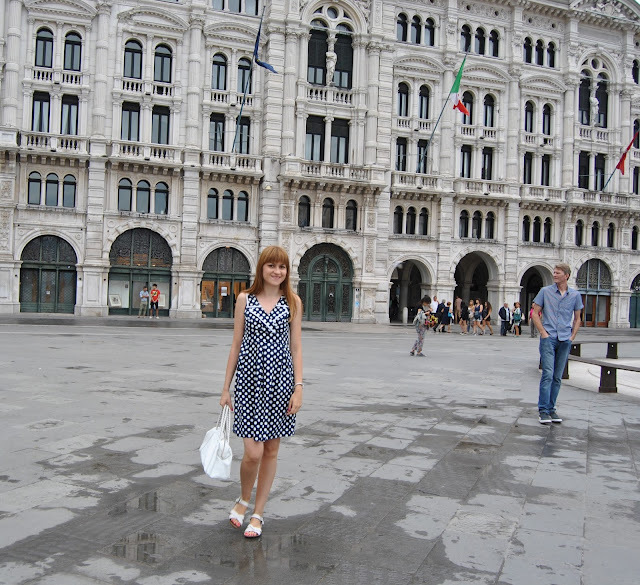 For researching beautiful parts of Trieste, I have chosen polka dots dress and white accessories. 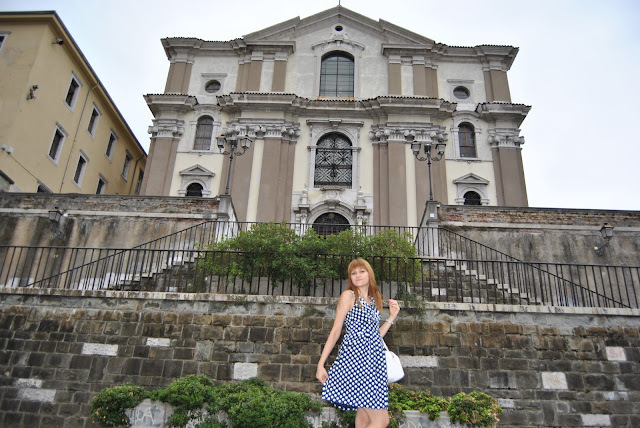 I tried to create the look of Italian retro movie stars, such as lovely Sophia Loren.